Getting attention of ticket buyers for events is a challenge on the Internet. There is a need to show the appeal of the performance in front of potential customers. Furthermore, ticket sales can be increased by helping the buyer to select and purchase tickets. 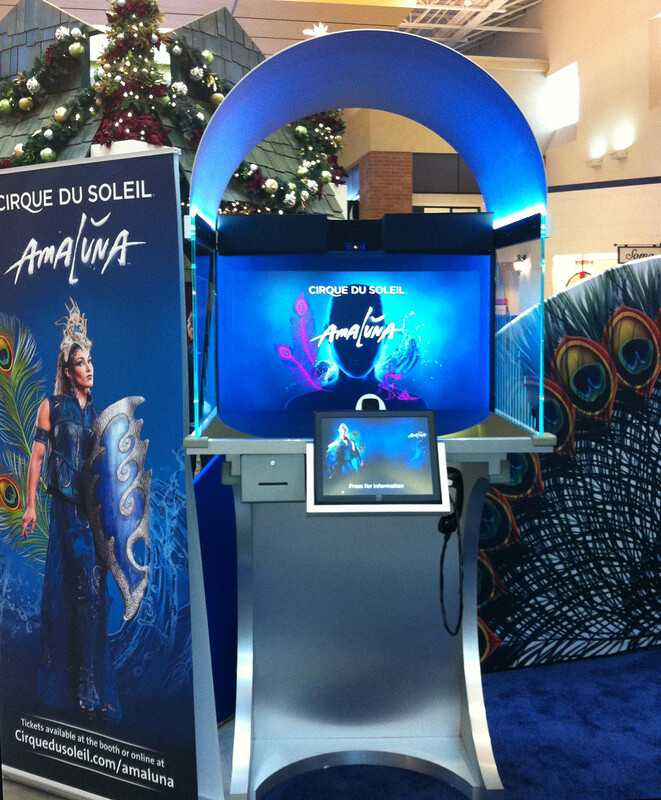 TelePresence Tech designed and delivered custom Holographical Box Offices for Cirque du Soleil. These were put in locations in the US and Europe to showcase their upcoming events. When customers would touch the screen to purchase tickets an agent at their home office in Montreal would appear three dimensionally at life-size to reserve the tickets and complete the purchase. 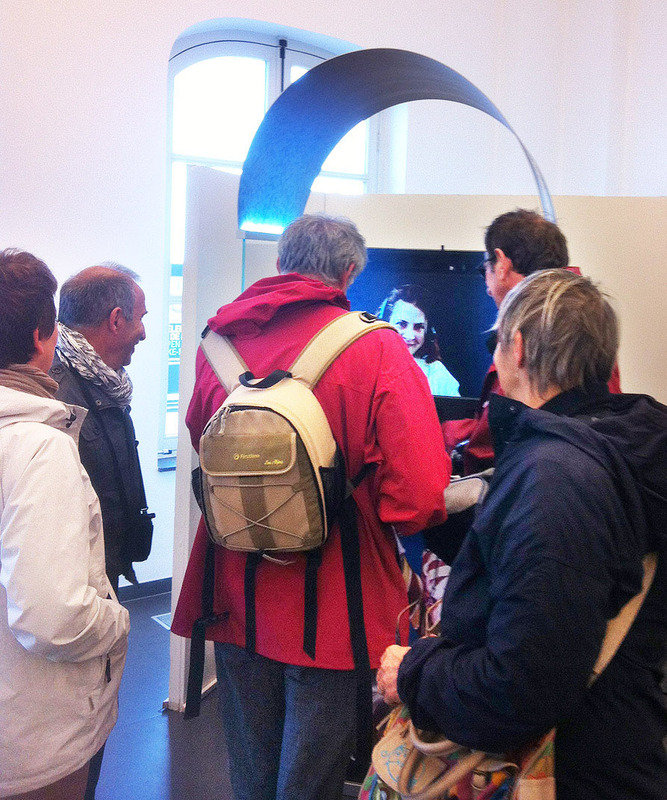 The promotional video would float holographically in the kiosk to attract attention. 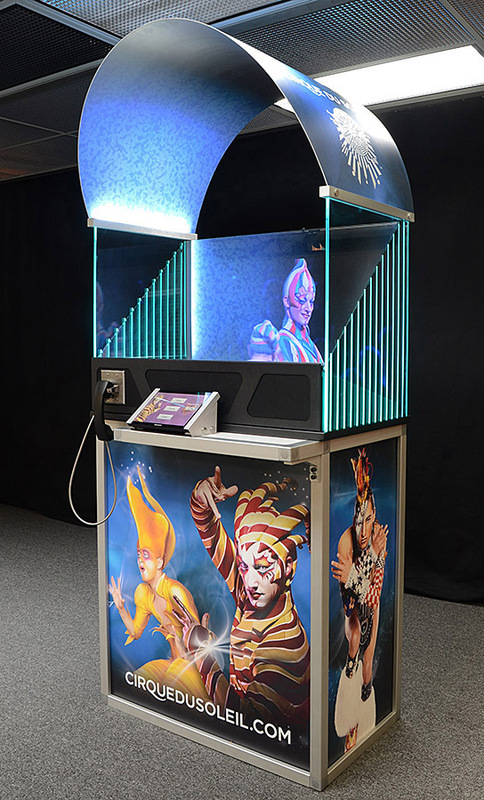 In this photo a Cirque du Soleil live agent from Montreal, Canada was talking with customers in Knokke, Belgium while appearing on our Holographical Box Office.